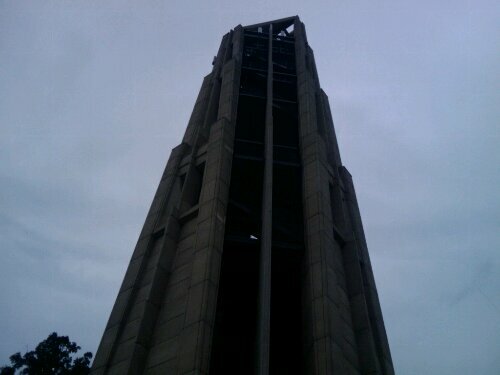 The trip to the top of the Naperville Carillon costs $3, but is free for children four and younger. I found the height of the tower to be very deceiving. 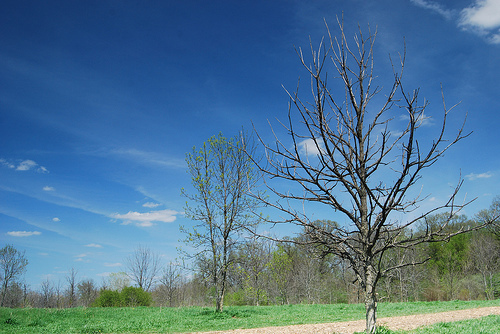 From a distance, it really doesn’t seem as tall as it is. Even standing at it’s base, I would never have estimated the tower’s height to be 160′ (roughly 14 stories tall). 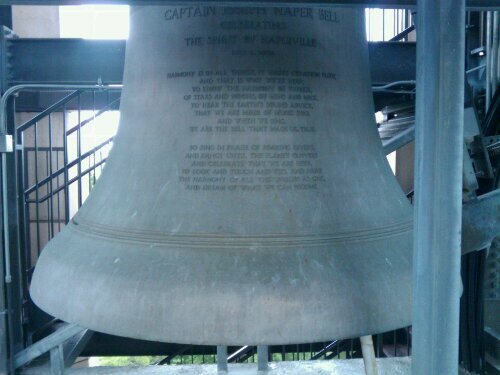 In fact, the Naperville Carillon is taller than the Statue of Liberty (standing at 151′ tall). 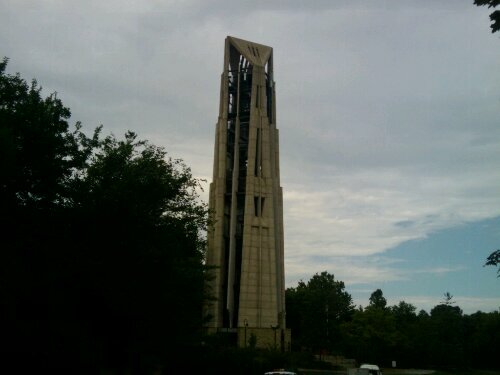 So what is a carillon anyway? 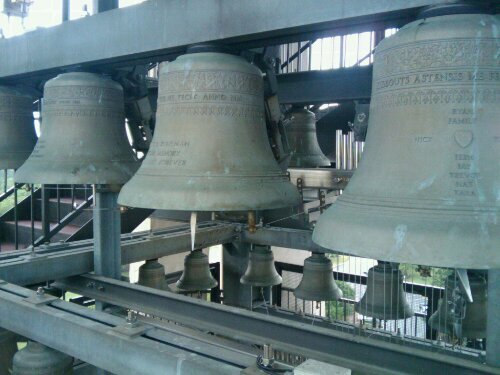 Basically, it’s a very large musical instrument (bell tower) comprised of many huge, heavy bells. 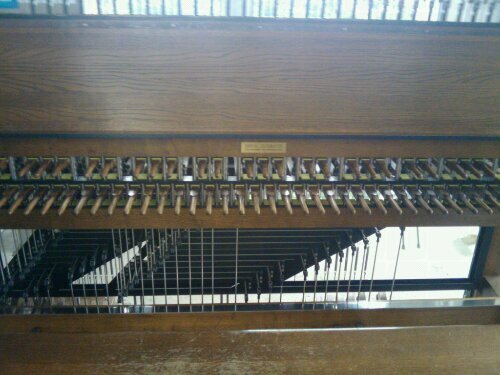 The bells are played using a series of batons (or paddles) and peddles that bears some resemblance to an old church organ. The batons are usually pressed using a closed fist, as they take considerably more force to press than the keys of a piano. 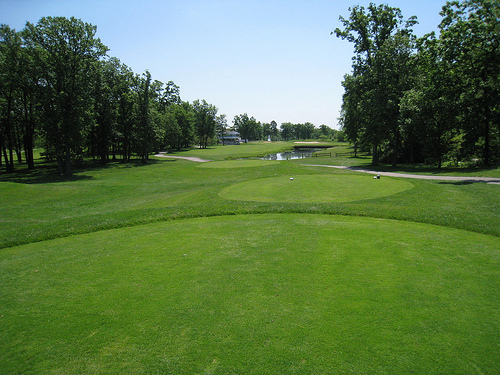 Check out this article for more information about carillons and their inner workings. 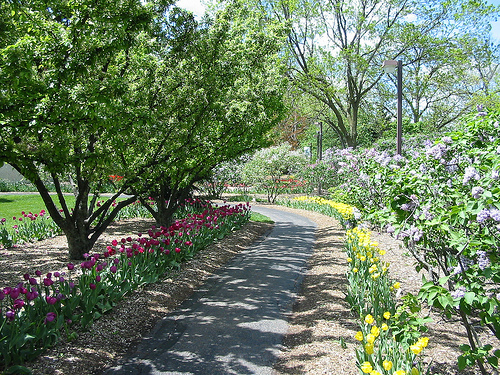 If you are interested in visiting the carillon, check out the Friends of Naperville Carillon website for more information. 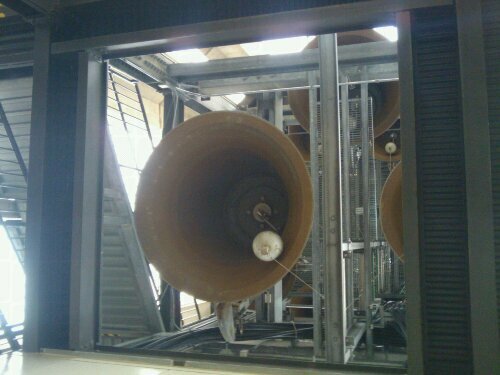 The largest bell of the carillon. It weights nearly 12k pounds and cost $750k.